​​Choose books that are age-appropriate for children. For babies, board books are a great option. They are short and have sturdier pages. For toddlers, look for picture story books that are shorter, with less print on the pages. For preschool-aged children, longer picture story books generally work well. Choose books that interest children--and let them choose books for themselves. Sometimes kids have favorite stories they want to read again and again (and again). This is okay! If the favorite story is the one children want to hear, keep reading it--but maybe bring in other stories from time to time to expose children to new stories and words and to help them discover new favorites. Have children get involved in the story. Ask them questions: "What do you think is going to happen now?" or "How do you think that makes Clifford feel?" or "What do you see here?" If there are sounds in the story, have the children make those sounds too. They love to howl like wolves or beep beep like cars--and sounds are so important for children to make and hear. Also, if there are repeated lines in a story, have the children say those lines with you. Any time they can participate in the story it makes reading more fun for them. Point to words on the page as you read to help children learn we read from top to bottom and left to right--and that it is words, not pictures, that we read. Let children hold the books with you and help you turn the pages. Make reading time a special time for you and your children to be close and enjoy one another. Often, parents think letting children play educational reading games on computers or watch educational reading DVDs is the same as reading with children. This is not true. The relational aspect of reading together (or learning anything) increases the learning that takes place. 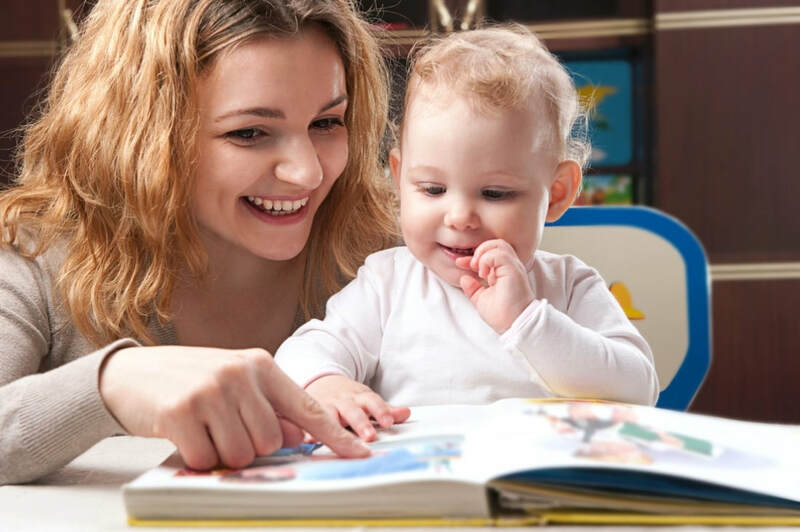 You and the interactions you have with children during reading time are the most important factors. Many of these tips are part of building children's early literacy skills. For more details on early literacy skills and how to develop them, click here.